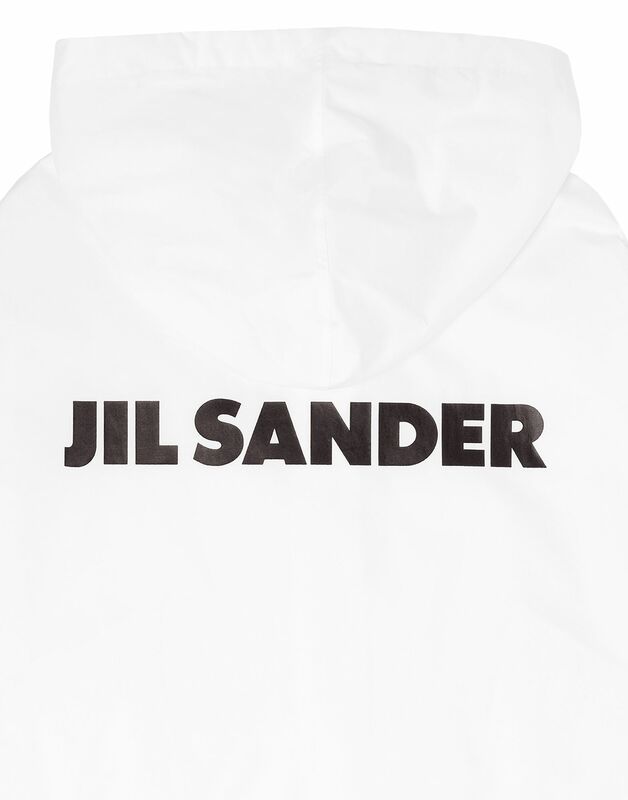 Jil Sander cotton parka with contrast logo on the back. 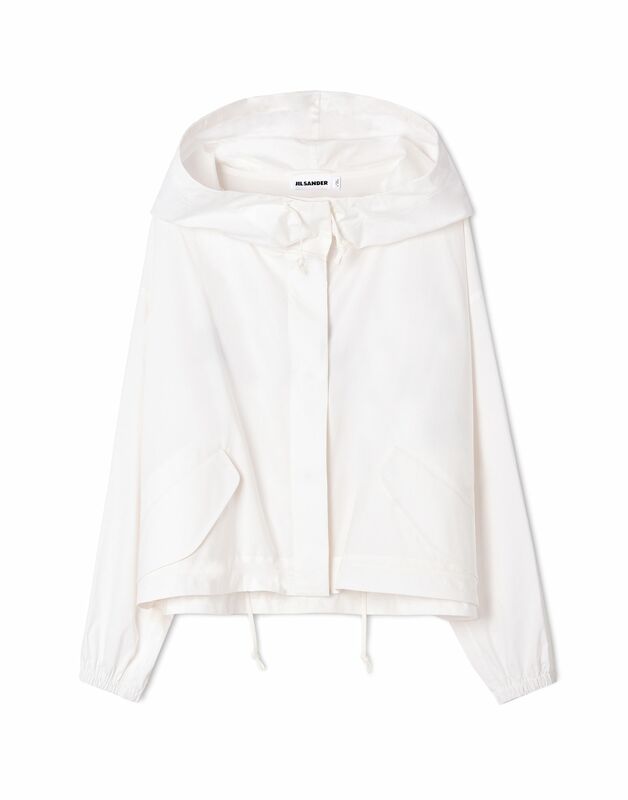 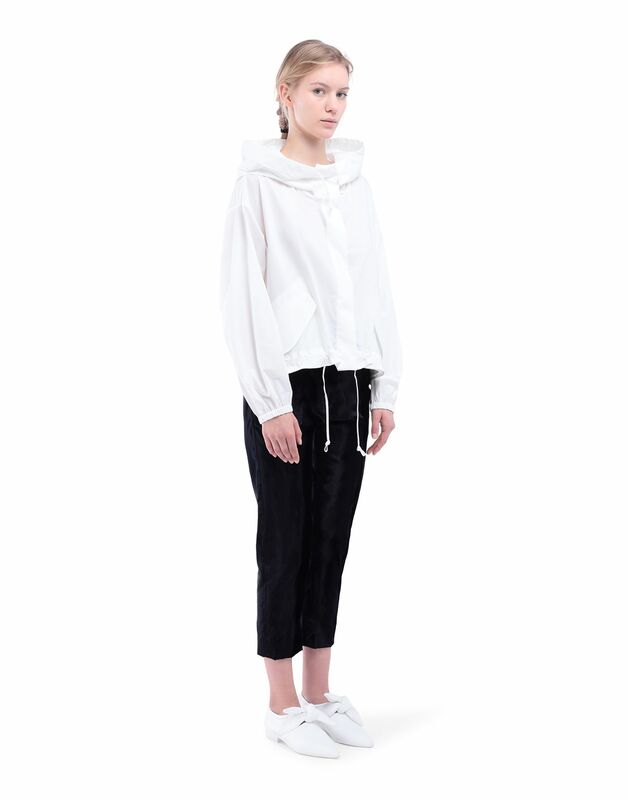 Slightly oversized, elasticized cuffs and drawstring hood. 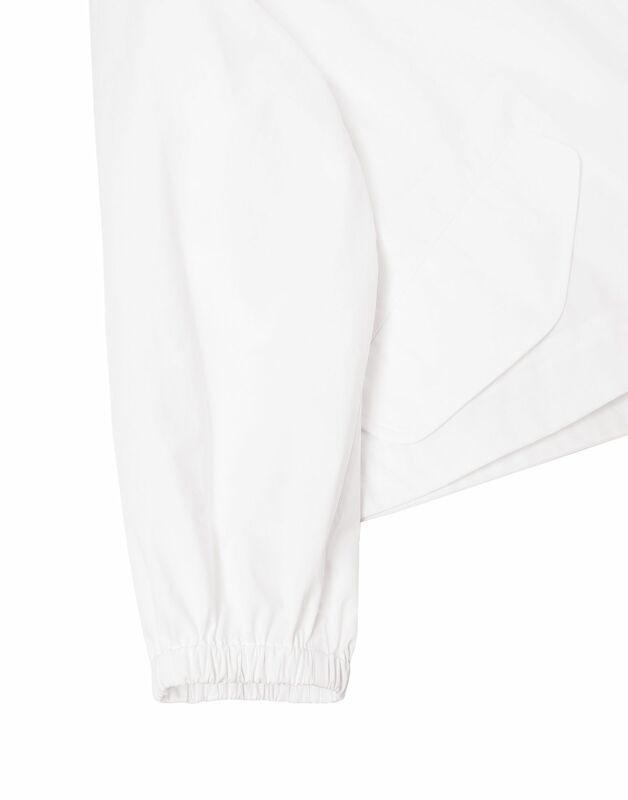 Silk organza lining.